Till Class 10, Arif Reyaz from North Kashmir's Bandipora district had no clue about just how prestigious an Indian Institute of Technology was. The son of a government school teacher learnt about it when representatives of a Srinagar-based coaching institute visited his school in the remote Gurez area, approximately 130 kilometres from Srinagar. "I was really impressed and wanted to study for the JEE entrance alongside class 11 and 12. But there was no coaching facility available in Bandipora. I ultimately came to Srinagar and got enrolled at Rise where I studied for two years," Reyaz, who nows plans to pursue aerospace engineering in IIT-Kharagpur, told ScoopWhoop. Reyaz, Aqib Amin, Malik Aneeb and Kaleem Khan were part of a batch of 60 students selected from eight districts of the Kashmir valley for coaching. 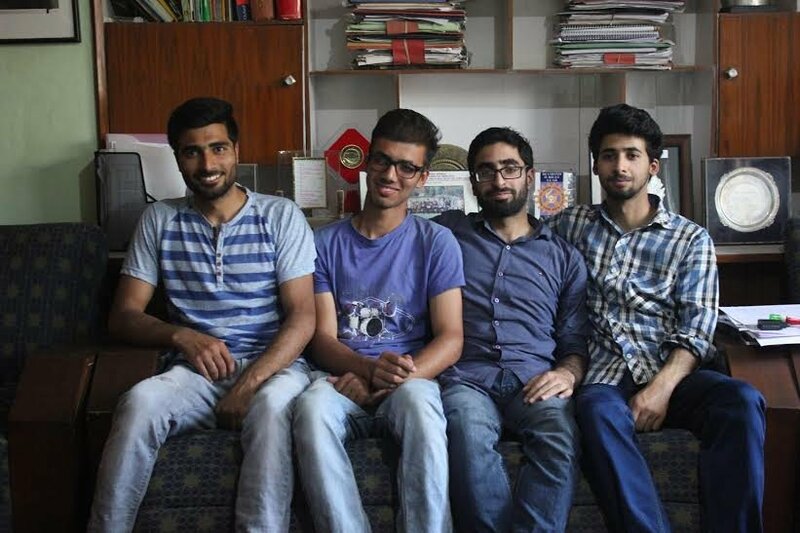 While the four of them made it to IITs, almost 35 students of the institute are among the top ranked for various courses at the central government-funded National Institute of Technology (NIT) in Srinagar. And thanks to them, Rise Institute of Scientific Education (Rise - a coaching centre started in Kashmir by a group of IIT alumni to groom students for the entrance exams - has reason to celebrate. The institute's founder is Mubeen Masudi, a 26-year-old IIT-Bombay alumnus, who moved to Srinagar after quitting his job with a corporate in 2012 because he didn't think it was "making any impact". Mubeen's family hails from Srinagar but he had never lived in the state because his father always worked outside the state. "His transferable job meant that I got a chance to have diverse schooling and at the same time experience different standards of education in various schools I attended across India," Masudi said. However, his visits to his home state made him aware of the the poor condition of the education sector there. "Not many know about IITs in Kashmir. There's almost no exposure and lack of self confidence among students," Mubeen said. He reached out his network of fellow IITians once he decided to start the institute and was joined by two IIT-Kharagpur graduates - Imbesat Ahmad and Salman Shahid. "The scenario of education is worse in Kashmir than Bihar. It's beyond pathetic," Ahmad, who hails from Bihar, said. "The existing model of education lays thrust on memorising and cramming, there's no concept of problem-solving thinking in classrooms," he said. To pick students to groom, the institute held a competitive exam called the RISE Talent Search Examination, in which nearly 15,000 students from the state wrote. 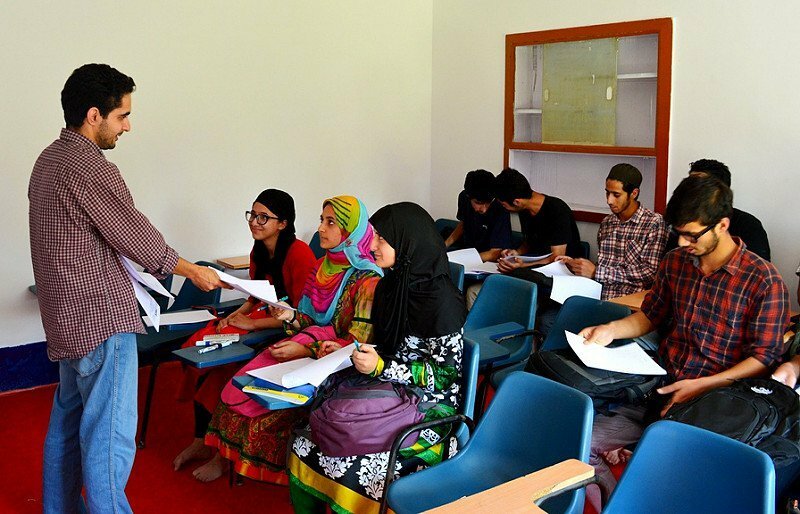 Around 60 students were selected and the coaching classes began in a rented building in Srinagar's Tulsi Bagh area. Taking a cue from the famous 'Super 30' program started by Anand Kumar in Bihar, in which 30 students from economically backward sections of society are trained for various competitive examinations, Rise also provided free coaching to nearly 40 per cent of its students from less privileged backgrounds. But even for other students, Rise charges around Rs 1300-1500 per month for coaching. In a coaching hub like Kota, a student could have to cough up anywhere up to Rs 2 lakh per year, and that's excluding living costs. "We are not eyeing profits, but sustainability. The idea is to create a student base who are able to pay the required fees and then utilise the same surplus in financing the coaching of those who can't afford to pay," Masudi said. 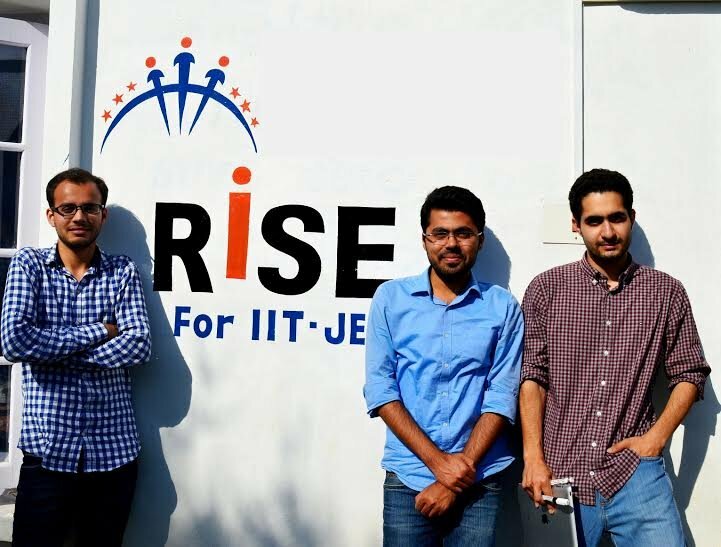 Kaleem Khan, a resident of Srinagar who qualified for IIT, described the coaching at Rise as a "two-way process in which there's no spoon-feeding." "At Rise, teachers are available to us 24x7. If we are getting a high quality coaching in Kashmir then why should other engineering aspirants move out of the state," Khan said. 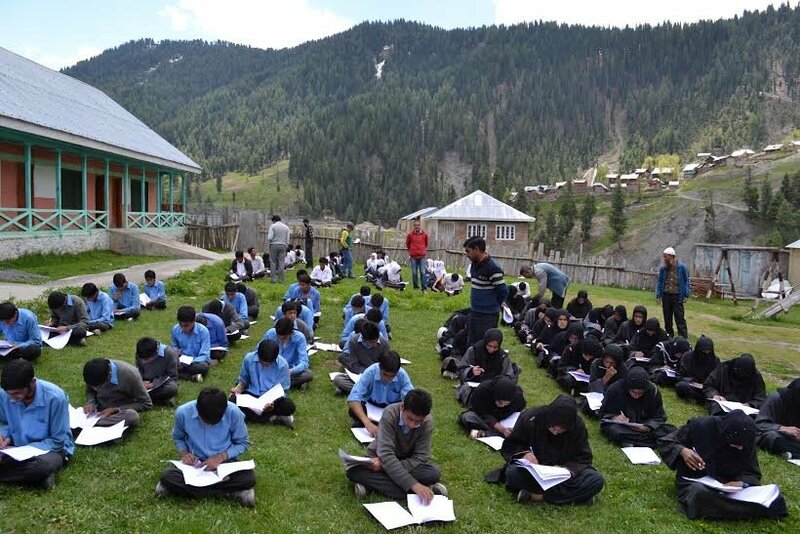 After this year's success, the institute plans to conduct its entrance exam in Kargil and Leh as well, and is expecting almost 25,000 students to write it. The team is also growing. It now has two more people on board - Saifi Karim from Delhi Technological University, and Neyaz Ahmad, an IIT-Delhi student who develops Android-based tech products for the institute. 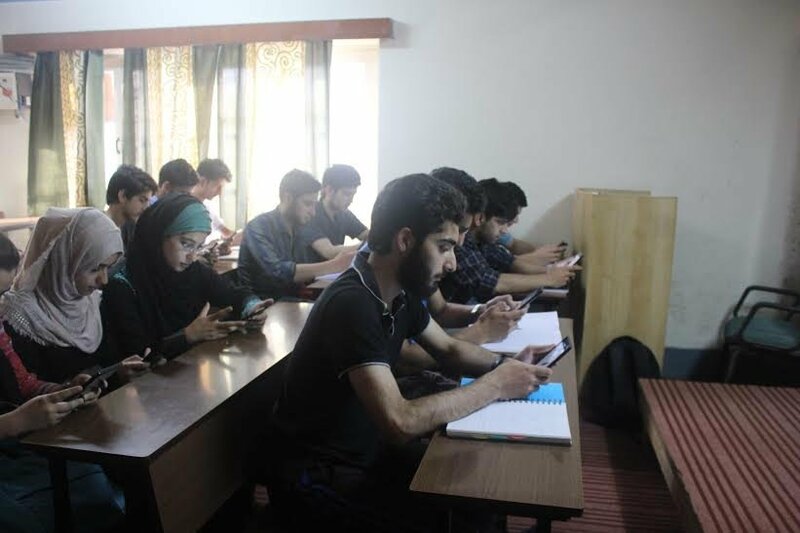 "The basic philosophy of Rise is to develop a technology-driven educational model which we can implement not only in Kashmir but other states as well," co-founder Imbesat Ahmad said. Speaking about his job with a corporate after completing his degree from IIT-Kharagpur, Ahmad said "there was money, but no purpose in life." "Now, we have got one," he said.